Last week most of our Collaborative Project students paid visits to their Collaborative Project Partner’s offices or headquarters to get a real feel for what the businesses and organisations were all about. 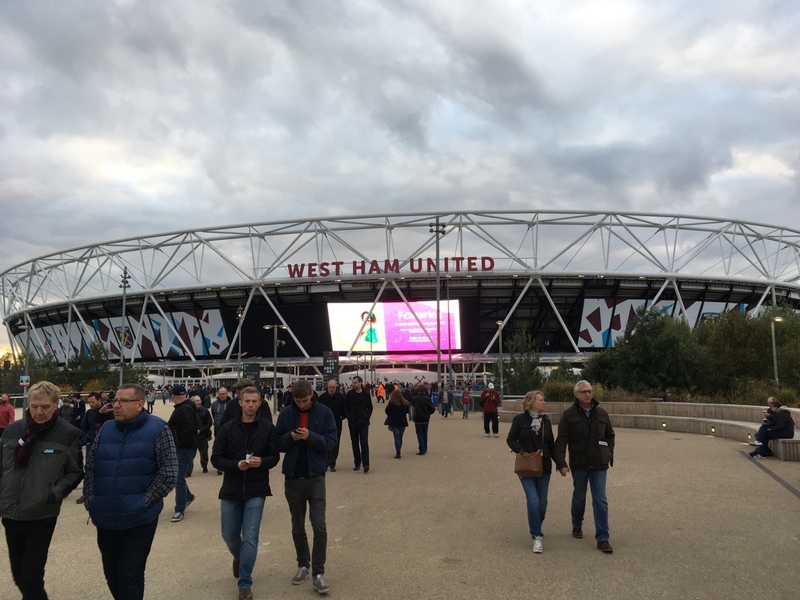 Owen, a student who visited West Ham United Foundation’s premises has told us about his experience visiting West Ham United Foundation. The Collaborative Project here at Loughborough University London is truly unique. The structure of the programme is not replicated at any other University in the UK, so the question is why do the project if no-one else does it? The answer is simple: because we are Loughborough. Loughborough University London strives to make it’s graduates as employable as possible through their degree and the support afterwards, and this project embodies that drive. This project provides real-life experience working alongside companies based in and around London. This isn’t an assessment centre style activity, these are the businesses’ current situations and problems. 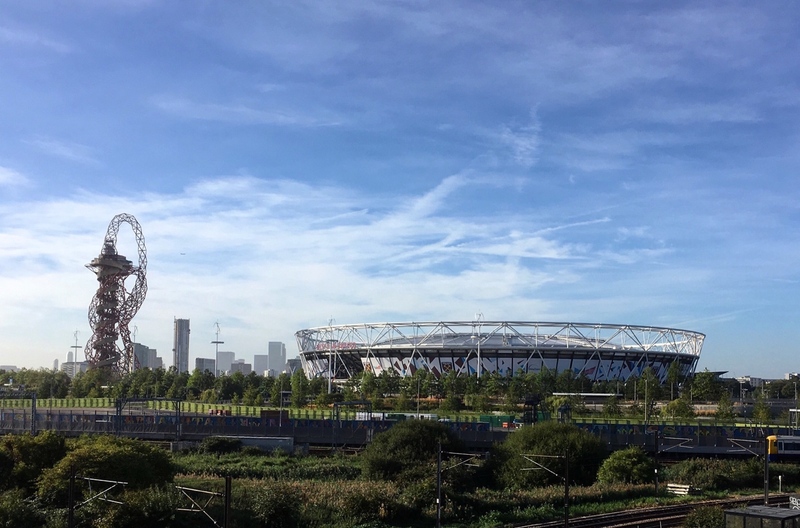 The picture to the left is of the London Stadium, the new home to West Ham United Football Club, on the Queen Elizabeth Olympic Park, just one of Loughborough University London’s many neighbours! 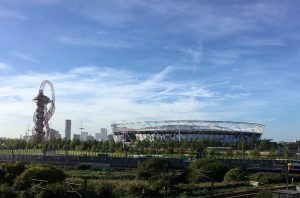 I took this photograph on my first day’s commute to university this September, walking through the Olympic Park on a sunny day like this had me inspired before I even set foot into campus. 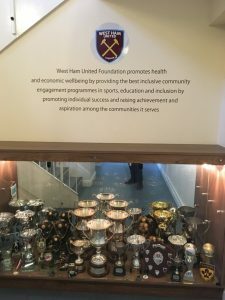 The thought that in a few weeks I would find out that I would be working in collaboration with the West Ham United Foundation, send shivers down my spine! Within the Project we were assigned into teams of students from multiple disciplines and cultures and told we would be working together with a project partner company. Each group has an academic supervisor assigned to them to supervise during the first semester, who are there to discuss or to bounce opinions off of, which moves away from traditional teacher-student learning approach. Our fantastic academic supervisor facilitated team building games in the first week so we could get to know one another and become aware of people’s strengths and areas of expertise. The following week, started off with further team building games in our teams of 4-5 students whom we would be working with to solve the project partner business brief. In my group I have a student from Design Innovation, another from Enterprise Development, and the final one from Media and Creative Industries. In my opinion, we are possibly one of the most well-rounded teams I have come across! Coming up with clear team roles and a team name : Bottom Up, we were ready for our company brief! WEST HAM UNITED FOUNDATION was announced as our project partner and I was beyond excited!! I came here to study Sports Business and this was the opportunity for me to put my newly gained knowledge into practice! My team mates were also enthralled because the brief was designed to measure brand value, which was a core concept of their courses as well. With my Sports knowledge and their immense creativity we were ready to tackle the challenge. The following week a Q&A session with the Higher Education Senior Development Office of the Foundation was arranged at Loughborough University London, giving us the opportunity to gain insight on the Foundation, the brief and first-hand experience for us to consider. The session lasted for 2 hours and was a immensely positive environment to be immersed in! The brief explained and networking opportunity gained we were ready to move on. We had the chance to compile questions ready to conduct interviews to selected members of the Foundation before visiting their offices. My group had the unbelievable opportunity to interview both the Senior Football Development Officer and The Football Development Manager of the Foundation. These interviews lasted for over an hour and were truly enthralling! Being able to pose questions and business ideas to senior members of the Foundation was invaluable experience. Following these interviews I am in contact with both executives to gather further insight into the commercial running of the Foundation, both in the UK and overseas. None of this information is readily available to the public, without the chance to interview them our group’s project would not be as applicable! Following our site visit our group received 3 potential research directions which we can focus our project upon. We are currently analysing financial reports of the Foundation to measure their brand value in terms of commercial revenue. We will be designing a future business model for the Foundation to expand internationally with specific focus upon China and the Middle East. In December our group will produce a poster, 3000-word project report and prepare a 15 minute pitch to the Foundation executives, University senior staff and our wider student population. These three assessment tools allow us to fully portray our measurement of the brand and future directions they could take. Approaching this project, I wanted to broaden my teamwork skills, with specific focus on developing my leadership of teams, this has been achieved because I am Project Manager of my team. I have gained experience of working in a vastly mutli-cultural team, managing meetings around 4 different timetables. I have received Sports Business industry exposure, which for all employers is now becoming a necessity. I have started to build an industry network, exchanging contact details with all members of the Foundation we have worked with. Who knows where they might lead in the future? I will be able to expand my pitching and presentations skills which going forward in life will be invaluable, speaking in front of large audiences previously made me extremely anxious…..now I feel comfortable in my abilities! I have gained a first-hand insight into the operations of a Premier League Football Team’s Foundation, understanding the processes and mechanisms in place that aid the day to day functioning of the business. The Collaborative project has broadened my horizons on the professional workings of a professional Sports Business and specifically towards my passion, Football! Thank you to Owen Betteridge, a Sports Business and Innovation student at Loughborough University London, for writing about the Collaborative Project. 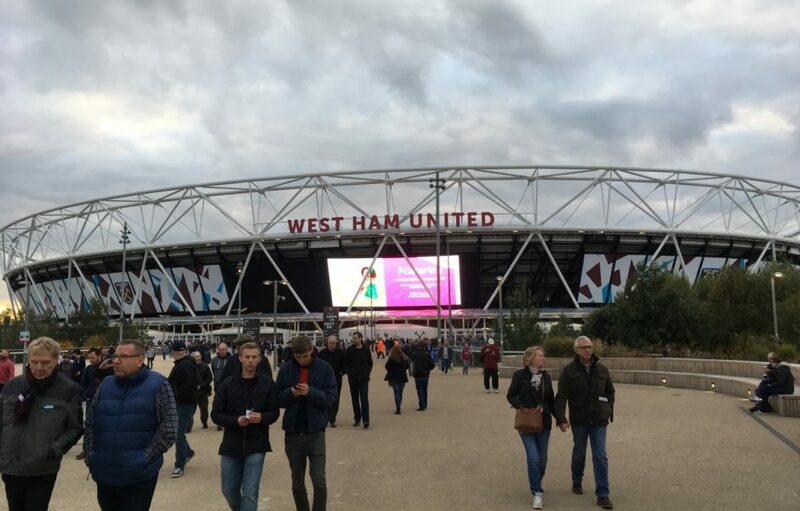 Find out more about Loughborough University London’s partnership with West Ham United Foundation here.